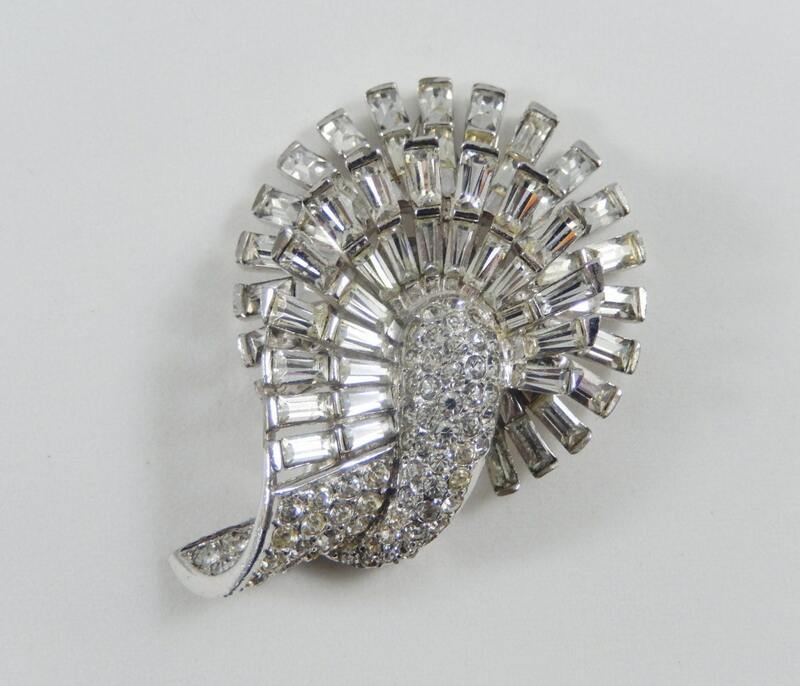 This is an amazing Diamonte baguette and pave ribbon swirl fur clip by Marcel Boucher from the 1940s. The back is marked two times with the number 2822 and a "B" with the phrygian cap. 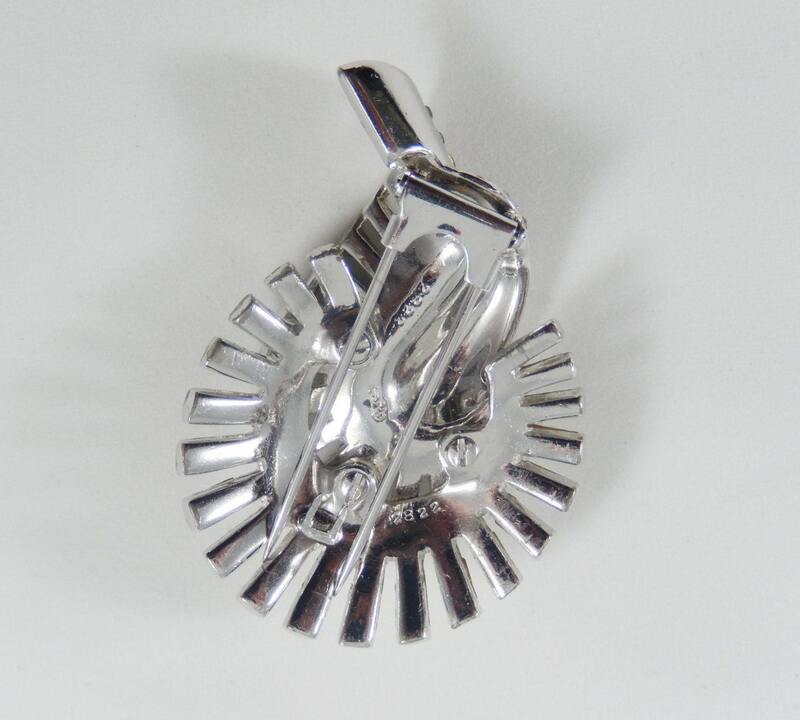 See American Costume Jewelry by Brunalti, vol 1, page 69 for a similar fur clip attached to a necklace. 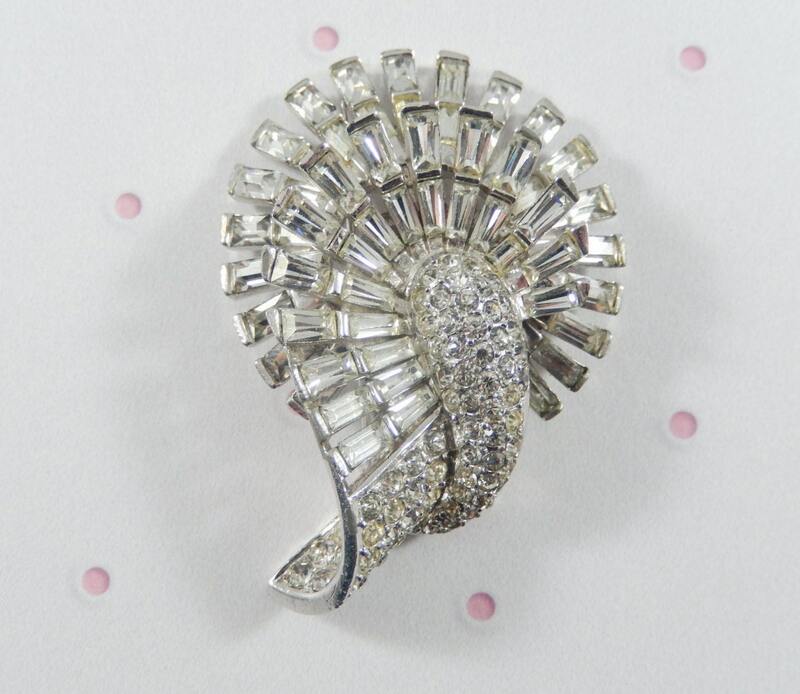 This fur clip features clear, sparkly baguette and pave rhinestones set in rhodium plated metal. Even the underside of the furled corner is pave. It measures 2 1/4" x 1 3/4 " and the clip is functioning properly. It is an exciting piece and a real part of history.